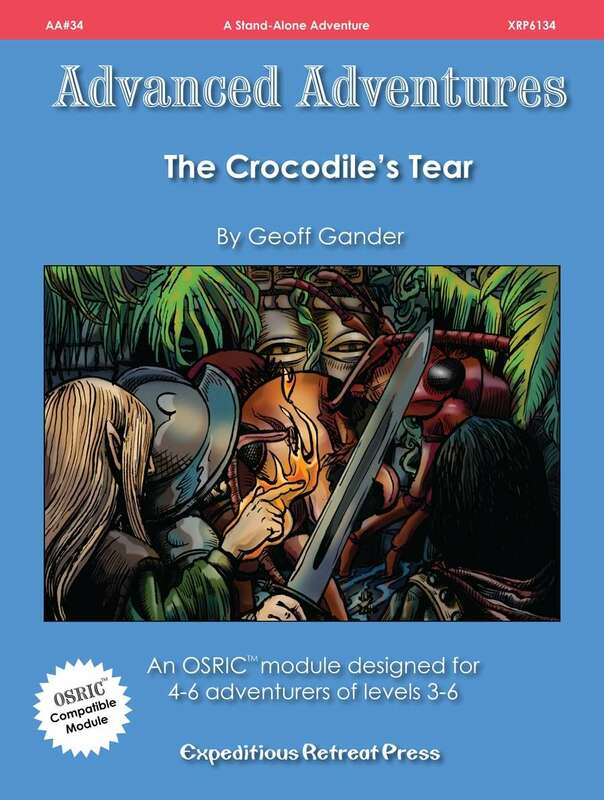 Advanced Adventures #34: The Crocodiles Tear is an OSRIC(tm) module designed for 4-6 adventurers of levels 3-6. A wealthy patron is outfitting an expedition to sail to the mysterious southern continent. The goal of the expedition is none other than the legendary Crocodile’s Tear: a massive magical emerald! Many tales are told about the southern continent, most of which paint it as a disease-ridden jungle filled with hostile natives, reachable only by crossing a pirate- and monster-infested sea.